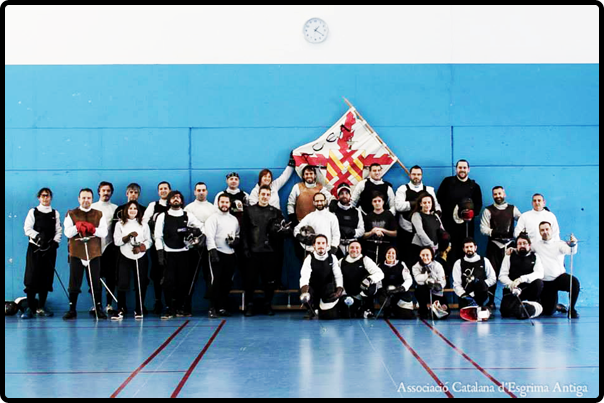 The Associació Catalana d’Esgrima Antiga began in 2005, the main style practiced being the Longsword system from the Italian school of fencing. In 2006 the Group was officially incorporated into the AEEA. 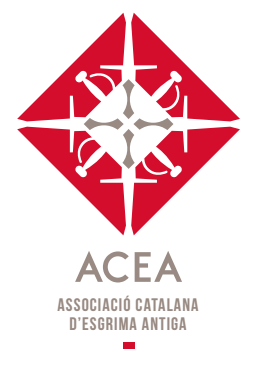 After years of study and training in the art of fencing, the ACEA achieved a great success, the instructor Oriol Salvador passed the examination required by the AEEA to obtain the title of Provost. The ACEA, like the whole AEEA, advocates quality and rigor in its classes, aiming for a practice that is faithful to its origins and the context in which it was created. 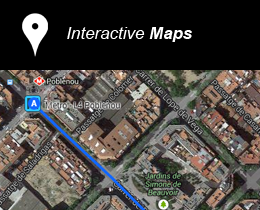 In addition, the aim is to nurture the values of dedication, personal improvement, honesty and sincerity. This Group currently has 80 associates and a body of 5 teaching staff who give regular classes in the Longsword (mainly following Kunst Des Fechtens), Sword and Buckler (I.33), and Rapier, with and without Dagger (Verdadera Destreza). Armoured combat (Harnishfechten) is also practiced and the Classical Spanish Sabre is also being introduced. In the future, it is intended that other weapons will be introduced whilst always ensuring quality teaching.